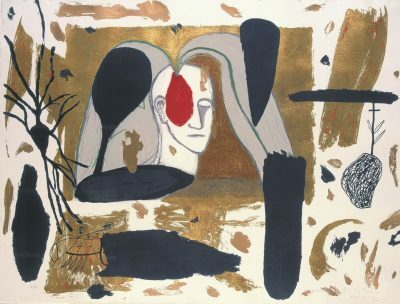 Italian painter, sculptor and printmaker Mimmo Paladino (born 1948) attended the Liceo Artistico di Benevento. He moved to Milan in the 1970s and became associated with the ‘Transavanguardia' group of painters. Paladino’s figurative drawings, paintings and sculptural works combine elements of classical mythology, Christianity, and primitive and modern art, to reflect on the nature of faith, death and ritual. 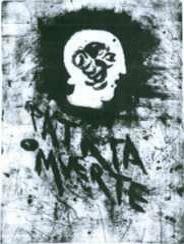 Paladino exhibited extensively from the 1980s. A major exhibition of his paintings and sculpture was held at IMMA in 1993. His work is represented in significant public collections worldwide.